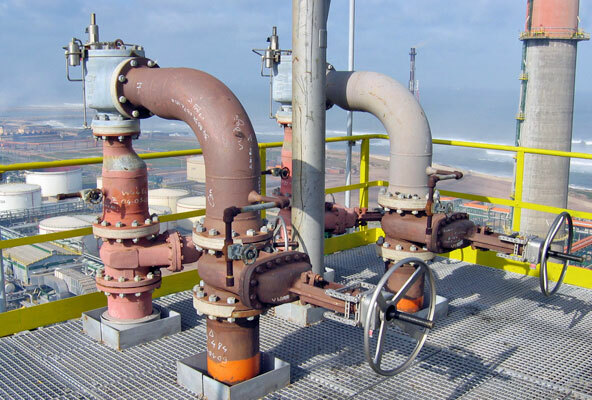 Netherlocks interlocking products are mostly used on Pressure Relief Valves (PSV). In many cases, these are changed over only once a year. During this change over procedure it is of huge importance that an open path to relief is maintained. Block valves isolating the spare relief valve must be opened before the ones to be maintained are closed. As mistakes have to be avoided at all times Netherlocks valve interlocks are installed on the block valves. In case of two safety valves, only one can be closed at any time.